I was 235lbs. 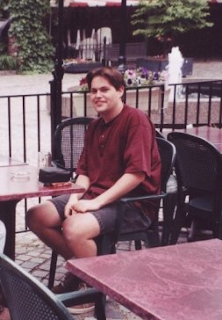 I got down to under 200lbs in 2002... and have kept it under ever since. In fact I've rarely strayed much above 190lbs, and mostly keep my weight in the 180's - healthy for my height (6'0"). So when I read about how hard it is to lose weight and keep it off? My reaction is simple: YUP. Even after 14 years of having lost weight, if I don't pay attention, it comes back on - fast. My body isn't content to be this weight - it wants to be bigger, fatter. This NY Times article about the Biggest Loser is one of the best I've ever read. You'd think when we need 900,000 calories, consuming 900,000 instead of 903,000 would be a trivial exercise... but you'd be wrong. Your body just seems to adjust, and burns the difference, or lowers your metabolic rate to deal with those small fluctuations. I'm proof it can be done, but holy hell I work hard at it. I run marathons, ride thousands of kilometers per year, canoe, anything that I can to keep me interested and burning calories. It doesn't surprise me in the least that only about 5% of people who try lose weight keep it off... it's a life-long struggle. For me, a struggle worth struggling.